In a small English town, a visitor is drawn into a mystery as residents of the town begin getting a letter pointing out their sins. The letters seem harmless, until people start dying. Jerry Burton, a visitor to the town is determined to get to the end of it. Jerry Burton – A man recuperating from an illness in a small English country town. First of all, let me say I was pretty disappointed in this novel. It’s categorized as a Miss Marple mystery, so I was expecting the main character of the title to be Miss Marple. However, she doesn’t even make an appearance until about 40 pages from the end. It’s as if she’s only thrown in there to solve the mystery, after it seems Jerry has done all the work. Now saying that, I wasn’t all that put off by Jerry being the main investigator. He was rather interesting, it just felt a bit deceiving. The characters are pretty stock and cardboard cutout characters for this genre. Ms. Christie never seemed to do a lot of work on characters outside of her main characters. This leaves all the border characters as rather forgettable. The plot is simple enough to follow, and the solution in the end does make sense. I think above the character development, Ms. Christie’s strong suit is in designing a plot that keeps you guessing. So far I haven’t been successful in solving one of her mysteries. Overall though, for fans of Miss Marple, Ms. Christie, or of the cozy mystery in general, I think this would fit into your reading pleasures. For others, it may not be their cup of tea. The language can be a bit off putting, as it’s early twentieth century and British. Overall, a pleasant mystery, and a good way to spend a few hours, but no the most memorable of the Christy books I’ve read. Check it out, if you like mysteries, and be sure to drop back by and let us know what you thought. Hercule Poirot – Famous Belgian Detective. Arthur Hastings – Companion to Poirot and narrator. 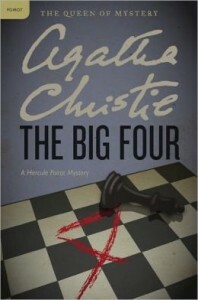 Poirot faces a challenge in four powerful foes bent on controlling the world. 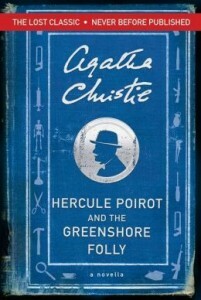 This was an interesting tale of Poirot. I’m used to the more typical mysteries, and this felt more like a thriller than a mystery. 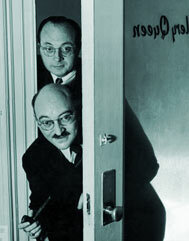 The majority of the story has Poirot and Hasting trying to uncover the identity of a mysterious master of disguises. The story is fast paced, the plot is convincing, and the characters are entertaining. Poirot manages to always pull himself out of danger with some masterful trick. While it was a departure from what I normally read from Christie, I found myself enjoying it very much. It may not suit the taste of all readers, as some of the language is old fashioned and modern readers may have a bit of trouble. I’ve found though, that if you stick with it, soon enough it all falls into place and the language differences disappear. This would definitely fall on my recommend list for all you mystery fans out there, particularly fans of the classic authors such as Ms. Christie. Grab a copy, give it a read, and drop by and let us know what you thought. Mike Hammer – Tough Talking New York Private Eye. Dr. Charlotte Manning – New York Psychiatrist. When his buddy Jack Williams is suspiciously and violently murdered, Mike Hammer vows to stop at nothing until the killer receives Justice. This was my first experience with Mickey Spillane’s writing, and I found myself drawn in. Mike Hammer can be violent, operate outside the law, but with respect to the police, and can be hard edged, but you also get to see a softer side to him. He’s a man who can also love. The plot was rather complicated, and if the reader doesn’t pay a lot of attention, could get lost. It seems at time that there are too many involved in the crime and it was too complicated. But the setting pulls you into the dark world in which Mike Hammer operates. The books are much darker and grittier than the simpler plotted books of Christie and Queen. They don’t seem as much a who dun it, in the classic sense, as crime fiction. 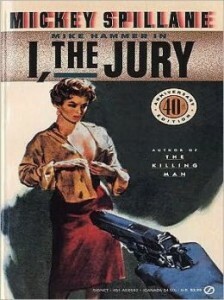 For people who like the gritty, film noir type detective, I think you’d love these Mike Hammer Stories. If you are looking for a simple, clean mystery though, this isn’t it. For the type of book it is, which I enjoy alongside the classic mystery, I’d recommend it. There’s a reason Mickey Spillane is considered one of the masters. Winifred Marchbanks French – Victim. Cyrus French – Rich Merchant. Ellery Queen – Author and Amateur Detective. Inspector Richard Queen – Homicide Detective. The woman of a wealthy store owner is discovered dead in the store display window. Ellery Queen and his father are called in to find out who killed the woman and why. The second in the Ellery Queen series of Who Dun It’s. 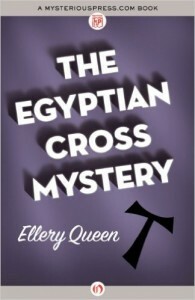 These are written in a classic style where the story is presented, and then as in all the early Queen books, the reader is given the chance to solve the mystery. 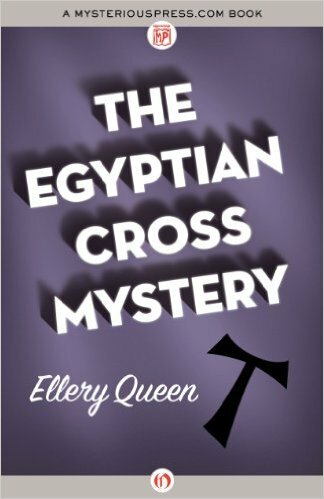 All the clues are given throughout the story, and while it’s the fourth Ellery Queen story I’ve read, I’ve yet to be able to solve one of them, though I come close at times. The characters, as would be expected for this time period are rather cookie cutter. Authors of this time period spent more time on prose and plot it seems than on character development, so from a reader’s perspective it’s definitely a story driven novel. I love these stories though, along with a lot of the classic mysteries, and this one kept me entertained. The language is a bit archaic and dry, so some readers may not be able to get involved in the storyline. If you can get through that though, and enjoy authors such as Doyle and Christie, then I think you’d like this. I’d rate it as PG or PG-13 due to the content, but I definitely recommend it for one of those rainy day, stay at home mysteries. A young, recently married woman purchases her dream home. She starts noticing various things about the house seemed very familiar. She enlists the help of Miss Marple to determine why, and to find out why she keeps having these memories of a young woman being strangled. 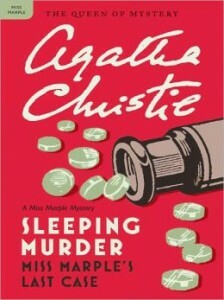 This was the last of Ms. Christie’s Miss Marple novels. The characters are what you’d expect from a Christie Novel. They are a bit like template characters, not a lot of in depth character development. The story I found very interesting. 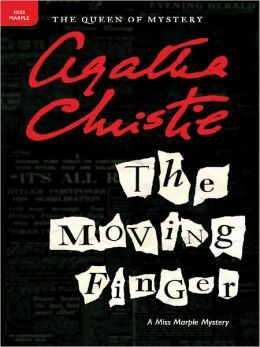 The plot is an intricate web, but in the end Ms. Christie always manages to make the story make sense. Its impossible to give too much detail to stories like this, in fear of giving away spoilers. I’ll just say I’ll recommend this to fans of Ms. Christie, fans of mysteries in general, particular the classics, and anyone wanting a good quick story to read. I’d rate it as PG and the language may be a bit difficult for some readers. However, if you can get past that, I think you’d find it enjoyable. Give it a read, and drop back by and let us know what you thought. The wife of Graham Bendix has been murdered. Mr. Bendix is accused of the crime. Chief Inspector Moseby of Scotland Yard approaches Roger Sheringham about the possibility of introducing the case to his amateur crime circle. How was Mrs. Bendix murdered? Who Murdered her? To find out, read The Poisoned Chocolates Case. This was the most unusual mystery I’ve read. While I’m used to who done it’s, this didn’t fit that formula. 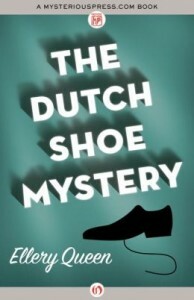 In this story a group of 6 amateur sleuths are given the facts in the case. They must use their own skills to determine who the killer was and why. They are given a week, and then each night one of them presents their thoughts on the case. I found this a unique way to unveil the details of the story. 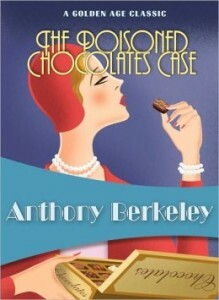 The Poisoned Chocolates Case is considered a classic in the mystery genre, and it’s understandable why that is. The plot is very well detailed. The characters each have their own distinct personalities, but seem a bit cookie cutter. However, I let that slide given that this is from the golden age of detective stories. Overall I found it a very pleasant reading experience and for anyone who likes the classic mystery style I’d recommend it. Suitable for all ages, though it may be difficult for young readers to understand. Born in 1893, Anthony Berkeley (Anthony Berkeley Cox) was a British crime writer and a leading member of the genre’s Golden Age. Educated at Sherborne School and University College London, Berkeley served in the British army during WWI before becoming a journalist. His first novel, The Layton Court Murders, was published anonymously in 1925. It introduced Roger Sheringham, the amateur detective who features in many of the author’s novels including the classic Poisoned Chocolates Case. In 1930, Berkeley founded the legendary Detection Club in London along with Agatha Christie, Freeman Wills Crofts and other established mystery writers. It was in 1938, under the pseudonym Francis Iles (which Berkeley also used for novels) that he took up work as a book reviewer for John O’London’s Weekly and The Daily Telegraph. He later wrote for The Sunday Times in the mid 1940s, and then for The Guardian from the mid 1950s until 1970. A key figure in the development of crime fiction, he died in 1971. Donald Kirk – Book Publisher, Gem and Stamp Collector. A dead body is discovered in the office of Donald Kirk. The man’s clothes are turned backward, as well as all the furnishings in the room. Ellery Queen, a friend of Kirk’s is called in to solve the mystery. To do so Ellery must find the man’s identity, why everything was turned around, and who would want to kill the man. 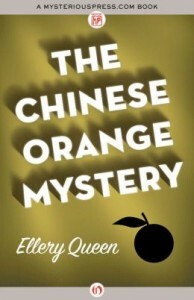 This was the third mystery I’d read in the Ellery Queen series, and the best one I think so far. The author(s) kept me guessing from page one. One of the great aspects of the beginning of this series (books 1 through 10 I believe) is that when you get to the final reveal, the narrator steps out of the pages and invites the reader to solve the mystery. By that point all the clues necessary have been provided. To date I’ve yet to be able to solve one of these. The style is the classic mystery style, rather than the thriller style today. It’s actually a format I prefer over the thrillers, though they can be rewarding reading experiences as well. The characters are pretty one dimensional, which seems to be the drawback to stories such as this. They tend to be rich in story but light in character. The ending while a total shock made complete sense as it was explained, however, there did seem to be some bits of information that I as the reader didn’t seem to be aware of. However, that’s a minor complaint. Seeing as how this novel was written about 70 or more years ago, I’d say it’s appropriate due to murder being committed for anyone 13 and over. An enjoyable story from a writer that I’m really beginning to grow into liking. I look forward to reading the next novel. Until then, go check this one out, and come back and let us know what you thought about it. You can discuss this book at here or join my facebook page and discuss it there.